Again we were blessed with good weather. It’s a good thing too, as we needed every session to tune Tony’s sway bars and spring rates to get where he told us we were going. 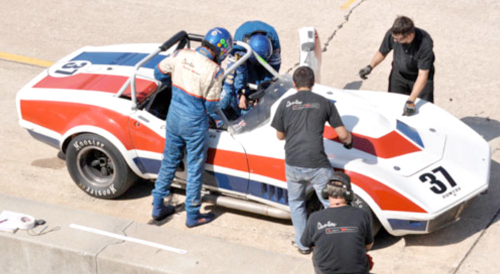 Up to our recent association, Tony’s vast hands-on racing experience had not included high powered vintage Corvettes running on ancient and hideous bias ply tires. Tony knows what works, but our car was to be the test bed to get his system tuned to the 1963 suspension geometry of a vintage Corvette. Jim Kitzmiller had a business conflict and couldn’t make the trip, so we brought just Clair in the red white and blue 37 car, and Edward in the black Duntov roadster. It’s a good thing, as we were plenty busy with changes made to the black car every session. Edward definitely has Sebring down. 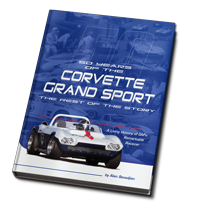 When Duntov started vintage racing at Sebring in 2005, the fastest lap for a vintage Corvette there was a 2:20. Up to this event, I am not sure anyone in a stock framed Corvette other than Edward has gone faster than a 2:20. 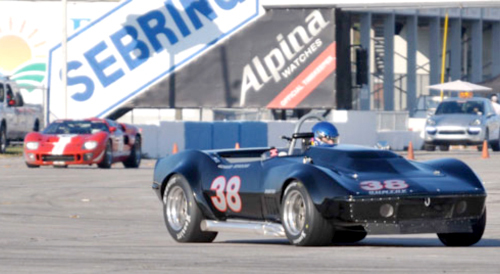 Edward ran a 2:17 there during his first Sebring race weekend at this event in 2009. He lowered that on his next race there to a 2:15. This time he got down to a 2:14 in the black car, in spite of several performance handicaps unrelated to Tony’s sway bars. Tony’s setup was now at least symmetrical, and it resulted in a performance advantage, but there was way more yet to come. Unfortunately that would involve Tony’s passion for very expensive shocks! 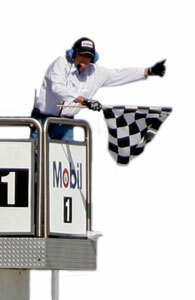 Edward qualified on the pole and won the race. Clair started the feature race fourth, but fell back a couple of places at the end. As has been the norm for the past two years, Clair and Alan again finished the enduro first in GT1.